Kaiman Wong (who has recently left DigitalRev TV) continues to create video contents on his own Youtube Channel. 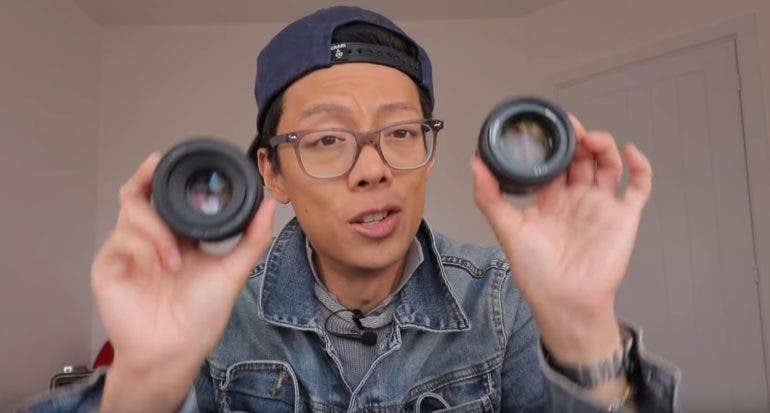 Most recently, he took on a comparison of popular street photography lenses, 50mm vs 35mm vs 28mm, to be educational and useful especially for newcomers to street photography. The best part: Kai was himself in his videos with his usual wit, charm, and a tad of silliness which made the video so entertaining to watch. With the three most popular street photography focal length choices being 50mm, 35mm and 28mm, it can be overwhelming and confusing for beginners delving into street photography. In his video, Kai claimed the 50mm focal length to be his personal favorite, mainly because the resulting perspective from a 50mm lens has less visible distortion on human faces and bodies, and all proportions look just right within a frame. Kai further commented that the 50mm perspective is very close to human eye vision, thus it is easier to visualize the street scenes, and it takes less effort to produce a convincing and natural composition. However, he also stated there were instances when 50mm was too tight for framing in some situations and he wished he had a wider lens. When describing the 35mm, Kai mentioned the similarities he found when shooting with the 50mm, but with the 35mm he needed to move in closer to his subjects on the street. This was a good thing because the wider perspective allowed him to fit in a little bit more detail, which can be interesting. On the other hand, Kai strongly recommends the 28mm lens if you intend to do a lot of environmental portrait work, since 28mm effectively allows a lot more background detail to be captured. He also lamented the need to get incredibly close to the people on the street for some shots to work with the 28mm perspective, which may not be practical. Kai concluded that 35mm was his most frequently used lens, considering it sits right between 28mm and 50mm and he can have the best of both perspectives. Ultimately, there is no right and wrong when it comes to lens choice and each focal length will give you a different result, hence it is about choosing which focal length that works best for you.